If your original pins and shackles are worn and corroded, our spring and shackle kits are just what you need. Highly recommended when replacing old springs. 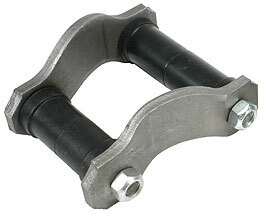 Kits come complete with everything you need to replace those old leaf spring shackles.